I’ve deleted a few lines and a number of words as I attempt to breathe life back onto this small space of mine. I sat staring at the monitor, watching the predictable rhythm of the cursor as it blinks, thinking of how I can recap 2011 in twenty words or less or more. Perhaps more. Emotionally, 2011 was a stable year. No major heartaches or heartbreaks but also not a single date. But I think I was ok with that. 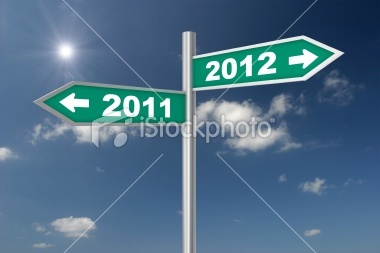 I’ll consider 2011 as a buffer year from the years of mis-match making attempts by friends and family. Nonetheless, I still believe in the age-old of happily ever afters. I am Cinta, after all. I survived the moving office to Putrajaya, got used to the long commute and sometimes long drive between home and the new office. I finally got my diploma in translation and managed to whizz past my first semester with the assignments and endless presentations and exam as a post graduate student in University Malaya. Not too bad I say, though there were times when I think I forgot to breathe. 2011 was also a good year as I was fortunate enough to have the means to travel to New Zealand’s South Island, twice in the same year. I hopped in a car armed with a GPS and guide books and drove the width and breadth of the country. I hiked through a mossy forest, saw the seals in Kaikoura, inhaled the sweet scents of lavender, listened to the sounds of nature at the Pancake Rock Blowholes in Punakaiki, stared in amazement at the glaciers in St. Josef and watched my own reflection at the lake in Wanaka. I was in Christchurch a week before the big earthquake in February happened and came back a few months later. I saw how beautiful and busy the city was before and witnessed the eerie silence of the city after. Christchurch will never be the same again. I counted my blessings at the greatness of Allah the almighty. I was and am lucky to have friends who so willingly handed over a paid luxury holiday at the Pimalai Resorts in Krabi, spending three days experiencing what it was like living a life of the privileged. I couldn’t thank them enough. I shrieked with shared happiness as a friend landed a job in Dubai, and another found her other half and soul mate. Wedding bells soon to be ringing and a trip to Dubai must be planned. I also learned how to bake a cheesecake from scratch and met a lot of new people. In real life or virtual from this blog of mine. Most importantly though, I welcomed my first niece into the world early in 2011. She’s a bundle of joy a ray of sunshine for the whole family. I couldn’t ask for more. But it wasn’t all smiles last year. Of course there were those moments of gloom. But lets not dwell on that. The only regret I have of last year is that I didn’t write often. Only the best that life has to offer…. And maybe my other half. I want to be married before the year ends. There, its out in the open. This is the first time I’ve actually said it out loud. I guess I’m ready now. I am ready. Percaya tak? Oh, and happy new year to you. This will be great year for us. You and me.